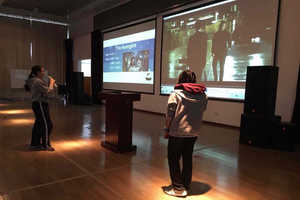 This November was the English Month in theInternational Department of Beijing No. 80 High School. 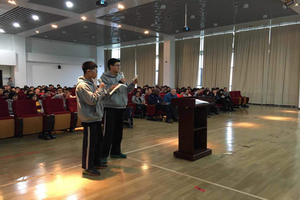 During this month, withthe help and organization from the Student Union and all the English teachers, wehave successfully held many kinds of English activities and contests—EnglishVocabulary Competition, Speech Competition and Voice Acting Contest. We alllearned a lot from those activities. 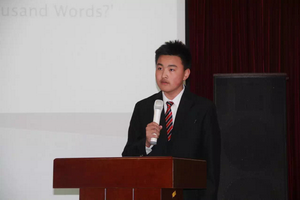 English Vocabulary Competition came first onNovember 19th. It was a Thursday, and all the four classes of Grade10 conducted this competition in class. The words mainly came from the words welearned in this semester. 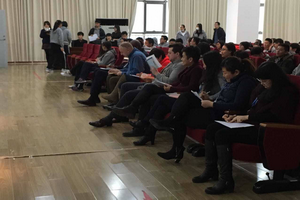 The competition included listening and filling in theblanks, definition matching, and reading and filling in the blanks. 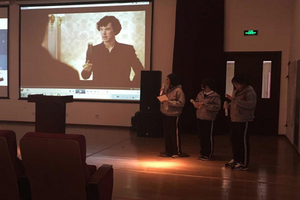 All ourclassmates participated in the competition very seriously. 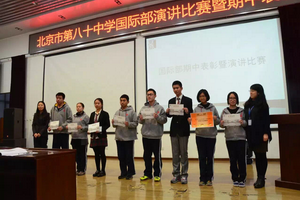 Ten students fromGrade 10 were awarded with prizes. From the competition, we knew ourselvesbetter and it also gave us motivation to study hard. 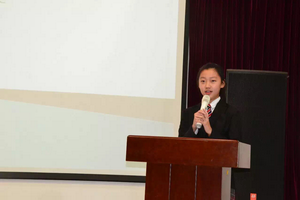 In the following week, the Study Division of theStudent Union hosted the Speech Competition. We had spent half a month preparingfor this competition. The first round was done and six candidates entered thefinal round. 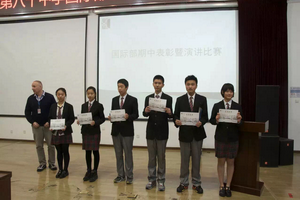 On November 26th, although these six candidates were abit nervous, they carried out their speech successfully and obtained positivefeedback from the teachers. Meanwhile, the teachers gave us some useful tipsabout how to deliver a good speech. When the English Month was coming to the end, welaunched the Voice Acting Competition. The students dubbed some classical partsfrom some of our favorite movies. The assessment criteria included sound and pronunciation,emotion and consistence with the original voice. 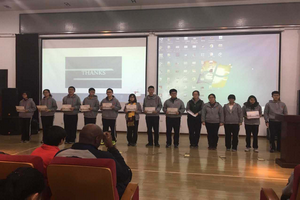 The teachers and students alsogave a big round of applause for their vivid performances. 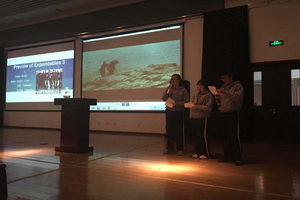 The English Monthwas completed in the students’ cheers and applause. Although the English Monthis over, our English study never stops. As we all will study abroad in the nearfuture, we have to improve our English skill from all perspectives. We wish allthe classmates will study harder!